Fall color lovers: welcome to paradise. 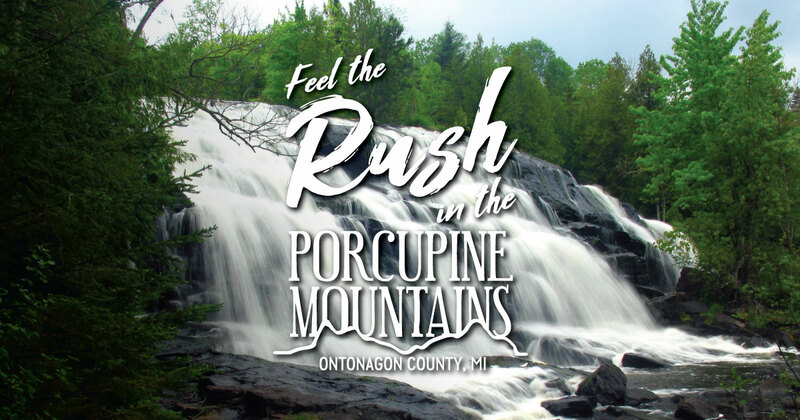 The Porcupine Mountains in Ontonagon County is the ideal place for a fall getaway—because of our ideal location near Lake Superior, the leaves here stay brighter longer, and we have lodging that will put you in the heart of the show. Here are just a few of the amazing places you can enjoy fall colors in the Porkies. One of the most iconic views in the Porkies, Lake of the Clouds in the Porcupine Mountains Wilderness State Park is surrounded by thousands of acres of old-growth forest. In the fall, these steep, tree-filled slopes burst into fiery hues of orange, yellow and red. A scenic overlook can be easily reached from a nearby parking area, and there are also some nice hiking trails to explore around the lake. For a dramatic fall view, visit the Porcupine Mountains Ski Area. In the fall, the ski area hosts chairlift rides up the ski hill so visitors can see the spectacular colors as well as the scenic Lake Superior. Rides are held on September and October weekends during fall color season. These picturesque falls are perfect for a visit on a crisp fall day. Located on the western side of the Porcupine Mountains Wilderness State Park, the falls consists of three beautiful cascades—Manabezho, Manido and Nawadaha falls. Park at the Presque Isle Scenic Area and enjoy a stroll along the scenic Presque Isle River. This highest point in the Porcupine Mountains Wilderness State Park is a great place to take in a panoramic view of the Porkies. Climb the 40-foot Summit Peak Observation Tower and you’ll see miles of fall colors spread out across the landscape. On clear days you can see all the way to the Apostle Islands.